infantry regiment commemorating famous general Laudon, died in 1790 in Novy Jicin. The first weekend in September the town open-air festival is the frosting of the cake of summer cultural activities. Throughout the year everybody can enjoy a fine selection of theatre plays performed in recently remodeled Beskydy Theatre. Town Heritage Area (proclaimed in 1967) is not a conservative monument of history but enjoys a lively circulation and changes everyday stereotype reality into attractive show place. 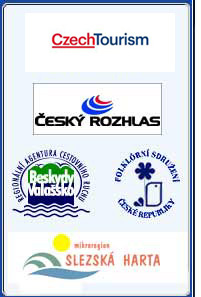 In 1991 Novy Jicin became a member of Association of Heritage Areas in Bohemia, Moravia and Silezia. Thanks to its excellent solicitude about historically valuable buildings and its effort to make the town a live center, The 4th European Heritage Days, a prestigious national event was organized. In 2001 Novy Jicin won the price " Historical town of the year 2001".